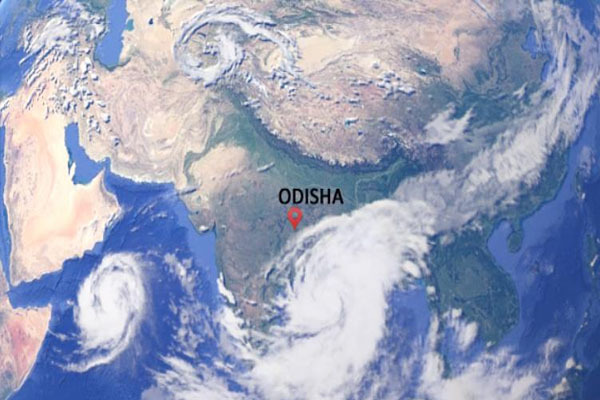 Bhubaneswar: Red warning has been issued to five coastal districts as the cyclonic storm ‘Titli’ intensified further and is moving towards the Odisha coast at a speed of 10 km per hour. The deep depression has lay centered 410 km off the Gopalpur coast now. The Met office has forecast that by the impact the storm, wind might blow between 100 and 125 km per hour. The State Government has asked all the district collectors to remain alert and ensure zero casualty in their respective districts. It may be noted that schools and colleges have been closed in the districts of Gajapati, Ganjam, Puri and Jagatsinghpur.